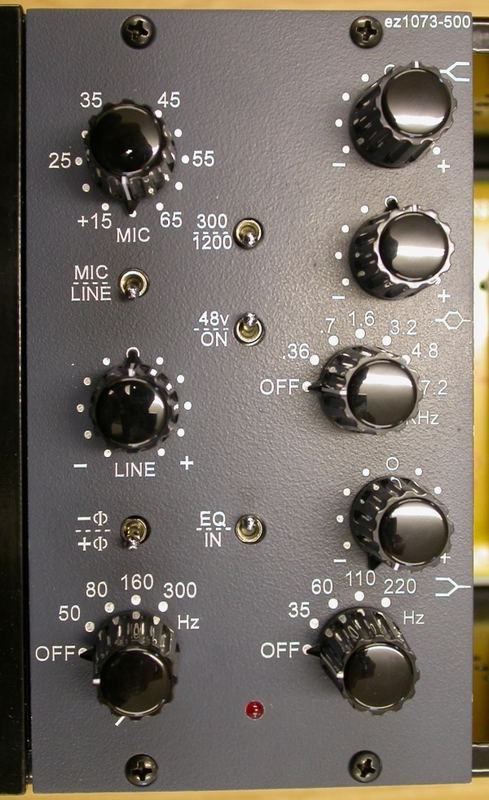 Designed by Colin Adshead of Audio Maintenance, the EZ1073 contains both the microphone preamp and EQ section of the original Neve 1073 console module. 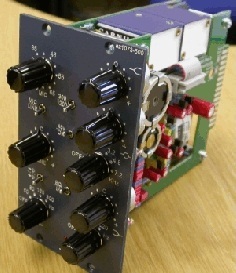 It is offered as a pre-assembled 500-series unit or as a DIY kit for a rack-mount case. Added by Peterson Goodwyn on February 28, 2011 and last modified by Peterson Goodwyn on May 7, 2014. Hi there! 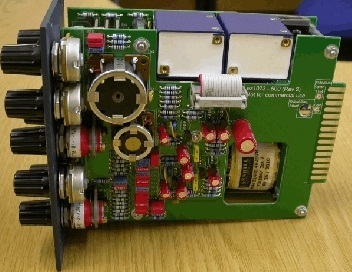 I live in Australia, (I have plenty of family living in the UK though) How much would it cost for a pre-assembled 500 series version of this? I am very interested!